Max Volume got Jake E. Lee to stop in on his show and he shared some great stories. 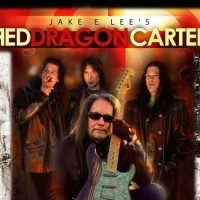 From Ratt, Rough Cutt, Ozzy, Badlands to “Red Dragon Cartel”, the history is deep with this guitarist extraordinaire. His new band “Red Dragon Cartel” just released their 2nd album “Patina” to rave reviews. The band kicks off their 2019 tour right here in Northern Nevada at the Nugget Casino Resort’s historic Celebrity Showroom on Saturday Night February 23rd. Opening the show is local favorite The Greg Golden Band.